Looking for a professional Property Manager to rent your property? You’re in the right place! Real Property Management is Carindale’s leading provider of Rental Property Management services! If you’re looking for a company to manage your investment property, you’ve come to the right place! Earn maximum investment revenue and rent your property with Real Property Management today! Over the last 10 years, RPM has rented hundreds of properties! Our track record speaks for itself! At Real Property Management Australia we provide comprehensive, reliable, and trustworthy Carindale Property Management Services at below-market rates. When you have an investment property, you want the finest in property management to protect your investment. Whether you are a single property owner or own a portfolio of Investment properties, we’ll effectively manage properties that include single-family homes, apartments, duplexes and townhouses. Our Carindale Residential property management company has many years of experience in property management processes to consistently meet our customers’ expectations while saving them time and money. We utilize proprietary systems to manage the entire process to ensure the highest probability of success in all facets of managing your asset. Our full-service property management services include maintenance, accounting, legal compliance, marketing, leasing, collections/evictions, inspections, and more. Please contact us to discuss your individual needs and discover why Real Property Management Carindale is the leader among residential property management companies in Brisbane. 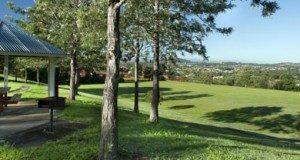 Approximately 10 kms from the Brisbane CBD to the east, Carindale is a newer suburb of Brisbane that was settled in the early 1980s. Surrounded by the neighbouring suburbs of Carina, Carina Heights, Mansfield, Belmont and Tingalpa, Carindale is a thriving Brisbane suburb that has seen very good growth over the last five years. The majority of houses in the suburb are low set and high set brick and tile variety, built in the 1980s. Lately residents have been modernising their homes by rendering, which has been an effective way of bringing their homes up-to-date. A major residential development near Carindale Westfields, however has also helped change the face of property in Carindale, with high rise apartments and modern townhouses. These new property sales have seen the median sale price for units & townhouses increase dramatically in recent times to become one of the most expensive in Brisbane. Shopping facilities include the large and successful Carindale shopping centre, smaller shopping centres in Carina, Belmont and Mt Gravatt East. The suburb has access to very good bus transport, with Carindale Westfields a major bus interchange. The nearest railway station is in nearby Cannon Hill – 15 minutes drive away. A bus ride into the city takes only approximately 25 minutes. Families are also well catered for with a number of primary schools and high schools located in and around neighbouring suburbs, as well as numerous sporting fields in the area, including Carina’s Clem Jones sports facility complex. With Bulimba Creek running through the suburb there are also many walk and bikeways and parks. Carindale also has a golf club and a number of gyms. 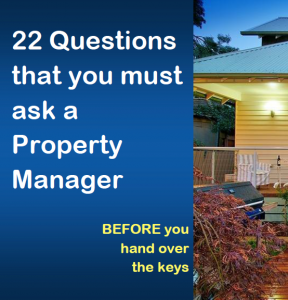 Real Property Management Australia are Carindale Property Management specialists.